On their road to recovery, patients need more than medication – they also need steady, compassionate hands to care for them at their bedsides and to administer the medical procedures they need. These are roles fulfilled by licensed practical nurses (LPNs). Licensed practical nurses not only provide direct care to patients but also administer some medications and medical procedures. Training to become a licensed practical nurse is a relatively short process that takes anywhere from 12-18 months. Before becoming licensed to practice as an LPN, prospective students must pass the national certification exam, the NCLEX-PN. 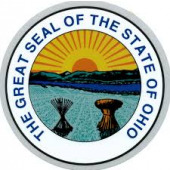 Over seventy LPN programs are available throughout the state of Ohio, so it is quite likely that prospective students can find one that works for their schedules and learning needs. Upon successful certification, students can seek employment in a wide range of settings, from short-term rehabilitative care to long-term home or hospice care. Some of the major employers of Ohio’s licensed practical nurses are the Department of Veterans Affairs, TriHealth, and ResCare. The state’s LPNs report a median annual salary of $40,120. The middle fifty percent of salaries range between $34,960 and $45,660. On top of that, due to the nature of their jobs, licensed practical nurses can look forward to a challenging and emotionally fulfilling career. Are you interested in training to become a licensed practical nurse? You might find the list below of accredited Ohio training programs helpful in beginning your search.